After registering his candidacy for State Representative in Connecticut’s 140th District on April 10, 2018, South Norwalk resident Colin Hosten reports that his campaign has now reached the threshold for public financing. The Citizens’ Election Program (CEP) requires candidates to raise at least $5,100 from a minimum of 150 residents who live in district municipalities. “As a college teacher and community leader, he provides a kind of leadership that has too often been lacking in the 140th District,” Collins said. “I expect that his energy and initiative will offer a real surprise to the party bigwigs in Hartford when he gets there.” In addition to being a former mayor, Bill Collins was the State Representative for the 140th District for two terms. Running against the heavily-favored Councilman Travis Simms, Hosten earned almost 40% of the vote for the Democratic endorsement at Thursday night’s caucus. 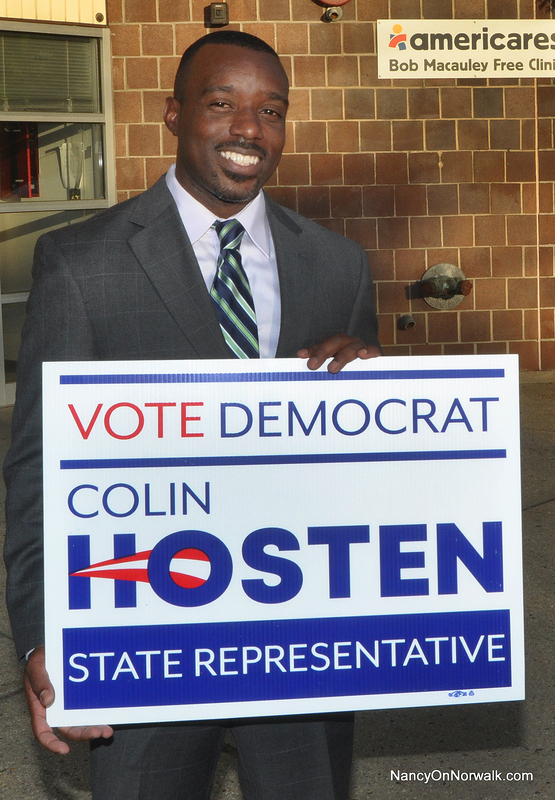 Hosten has vowed to petition for a primary vote.